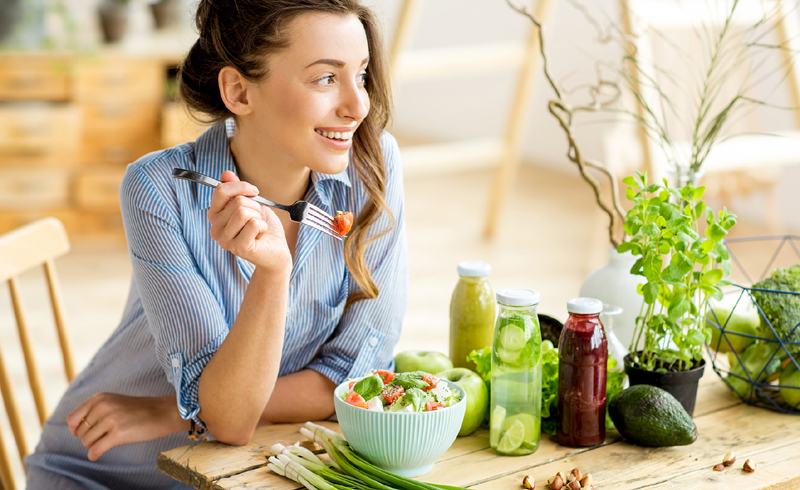 It's true that no single food will erase laugh lines or really make you feel 17 again, but a healthy diet full of anti-aging foods can boost skin quality, improve immunity, and more. It's no fountain of youth, but these bites will help you look great anyway. If we really are what we eat, it’s time to step away from the Swedish Fish and pick up something slightly less processed. While it’s true that no single food will erase laugh lines or make you feel 22 again, a healthy diet full of anti-aging foods can boost skin quality, improve immunity, and more. Stock up on these expert-approved ingredients next time you're looking to fill that grocery cart. 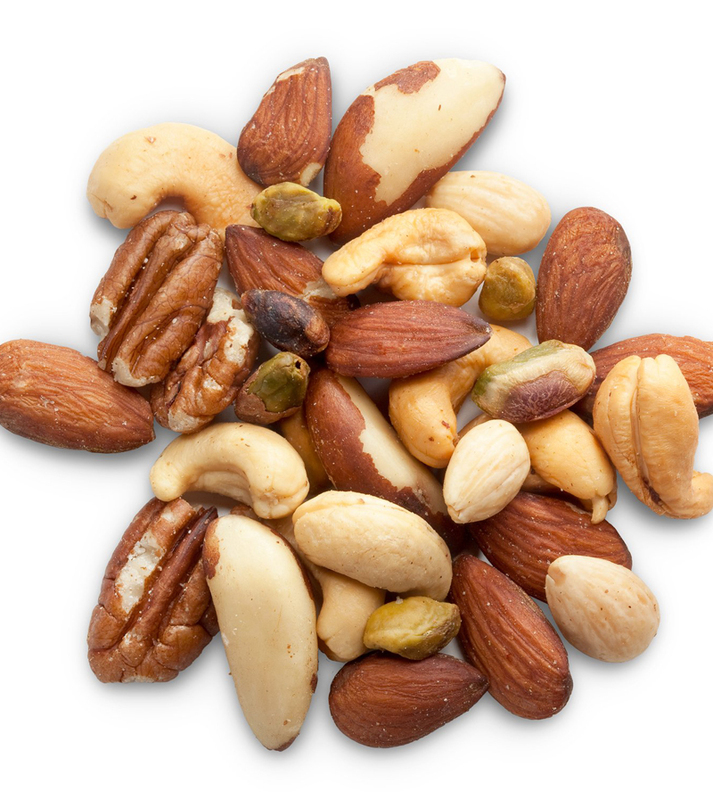 No matter which nut you choose — Brazil, cashew, macadamia —they're all anti-aging heroes thanks to their cholesterol-lowering and anti-inflammatory effects, says Julieanna Hever, a plant-based dietitian. Aim for one to two ounces each day, as they're also fantastic sources of protein, fiber, and micronutrients. If you want to feel good all the way down to your bones, then you need to take care of, well, your bones. That's where sesame seeds come in. "These are high in calcium and rich in other minerals like iron, magnesium, phosphorous, and fiber," says Annie Kay, lead nutritionist at Kripalu Center for Yoga & Health. "A mineral-rich diet, along with adequate and appropriate movement, are a recipe for healthy bones for life." If you haven't tried non-dairy milk yet, Hever wants to know what you're waiting for. "Fortified plant milks are great for their optimal bone-supportive nutrients," she says. That also means they're great regardless of whether you're actually a vegetarian. "Include a serving or two of hemp, soy, almond, or rice milk — fortified with calcium and vitamin D — into your daily diet." 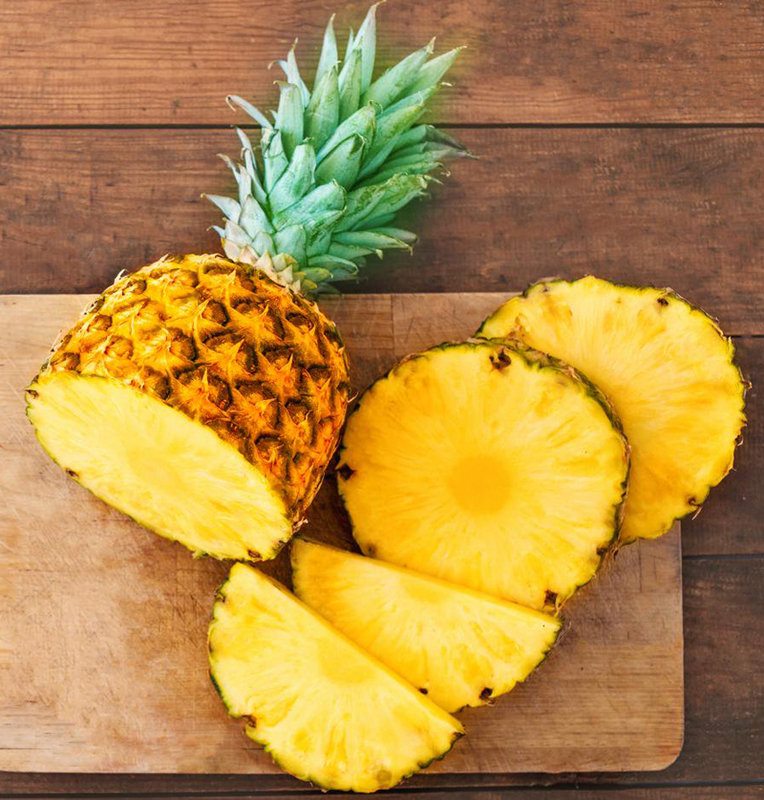 This tropical favorite can help you appear seriously dewy: "Pineapple is rich in a mineral called manganese, which is needed to activate an enzyme called prolidase," says Lisa Hayim, R.D., founder of The Well Necessities and TWN Collection. "Prolidase provides the amino acid proline for the formation of collagen in skin, which plays a role in skin strength and elasticity." Sorry, but you're going to have to pass on the milk chocolate and pick up the dark variety if you want to lock in those anti-aging health benefits. Why? 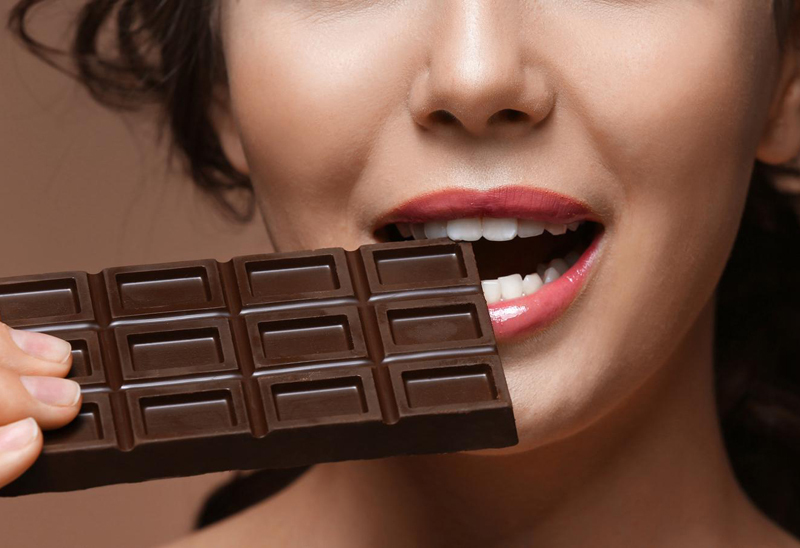 "Dark chocolate is loaded with flavanols, which are believed to benefit [your] appearance by increasing blood flow to the skin," says Mitzi Dulan, R.D., author of The Pinterest Diet. "Flavanols also absorb UV radiation, protecting your skin from the damaging effects of the sun." While nearly every mammal can make vitamin C naturally, humans lost that oh-so-stellar skill millions of years ago. But that doesn't mean our bodies don't need it. "Vitamin C plays a critical role in maintaining optimal genetic health, [and] it's a crucial way to keep your skin looking brighter and younger," says Sharon Moalem, M.D., Ph.D., author of The DNA Restart. Science backs her up, as a study published in the Journal of Clinical Nutrition found that women who consumed greater amounts of it had smoother skin and fewer wrinkles. 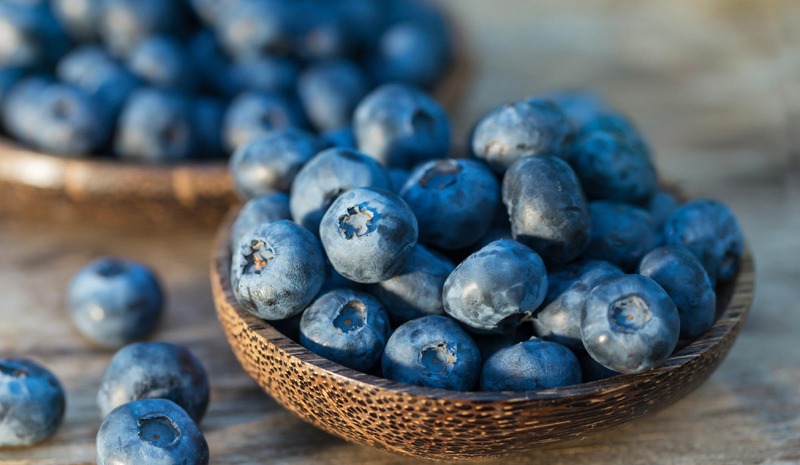 These tiny berries pack a mighty punch, as they contain more antioxidants than almost any other fruit, says celebrity nutritionist Lisa DeFazio. "They [also] give you protection against skin-damaging free radicals from sun exposure, stress, and pollution, and they have vitamin C, which helps prevent the wrinkles." 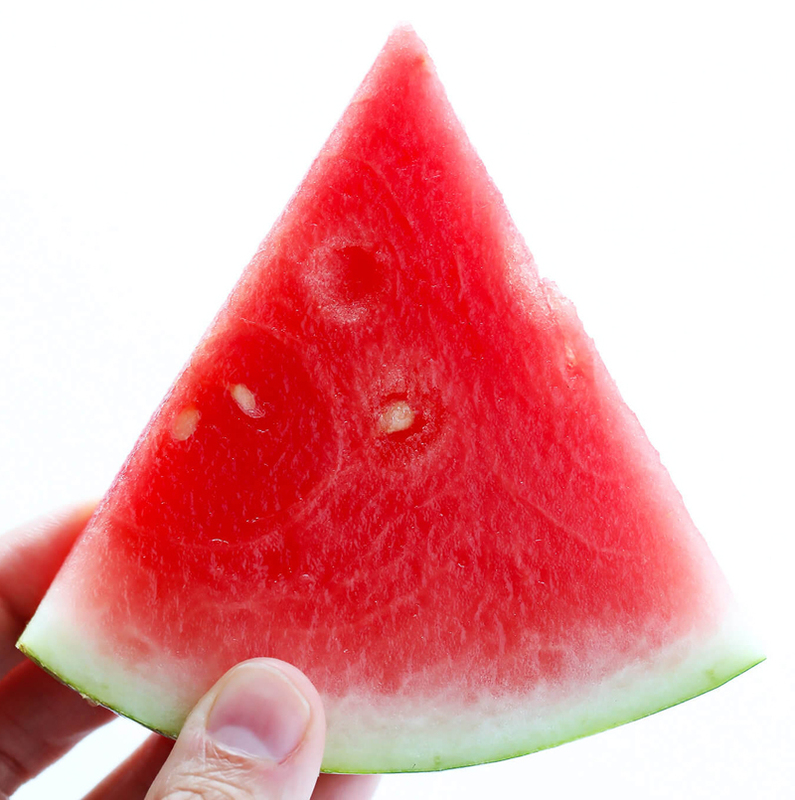 Treat yourself to a slice of this summer fruit to keep your skin young. "Watermelon is packed with lycopene, which [acts] as a natural sunblock, protecting it from ultraviolet rays that damage and age the skin, create sunspots, and make skin look weathered," say Lyssie Lakatos and Tammy Lakatos Shames, AKA The Nutrition Twins. The water content doesn't hurt either, as its massive amounts helps keep your skin hydrated and plump, DeFazio adds. 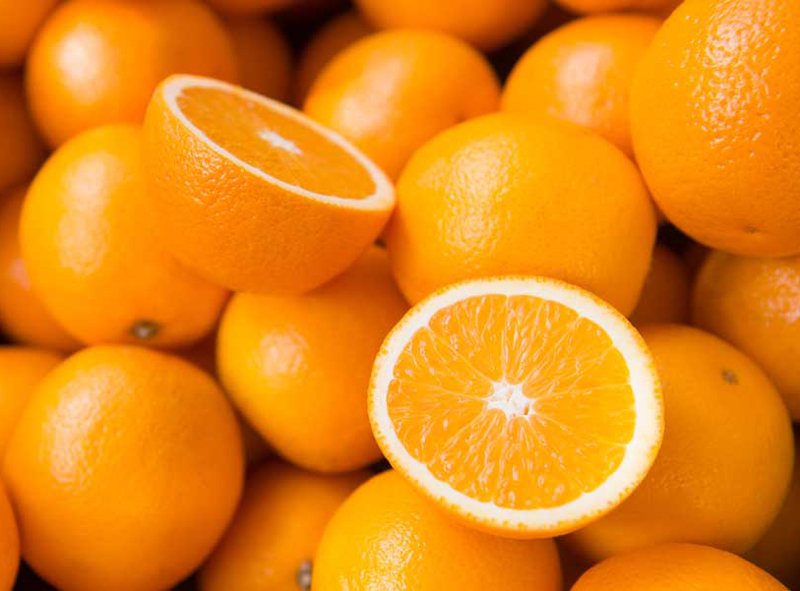 Besides quenching your thirst, oranges help keep your body youthful. 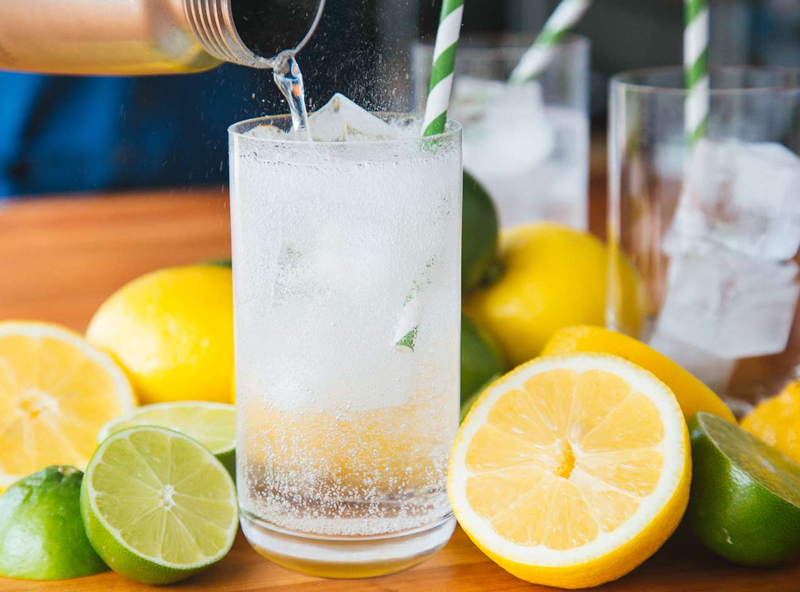 "This great source of vitamin C not only helps to boost immunity, keeping your body in better working order, but they also help build collagen," Lakatos and Lakatos Shames say. "Collagen makes the skin elastic, supple, and younger-looking." 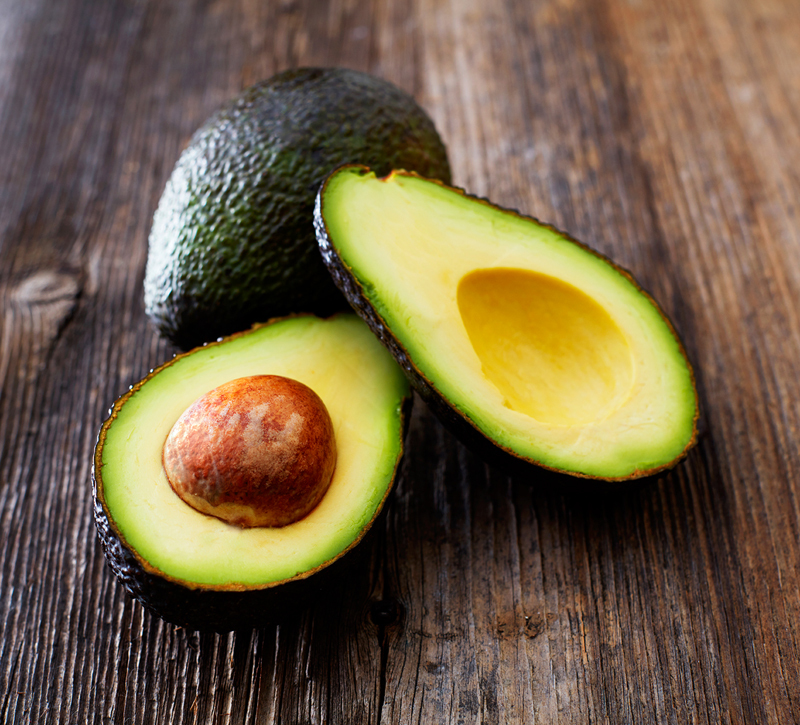 Just like the omega-3s found in salmon, avocados are jam-packed with the inflammation-fighting fatty acids that keep the immune system functioning properly. They also help both your mind and body age gracefully, so add the green fruit into your salads, top your toast, or use it to make a healthy pudding. 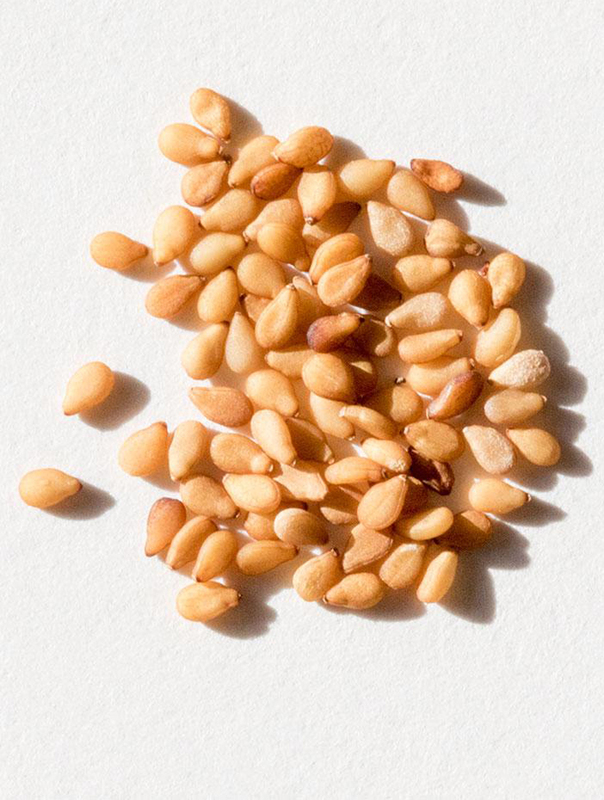 Besides being wildly addictive in a froyo swirl, these tiny seeds also add a nice burst of sweetness to salads. 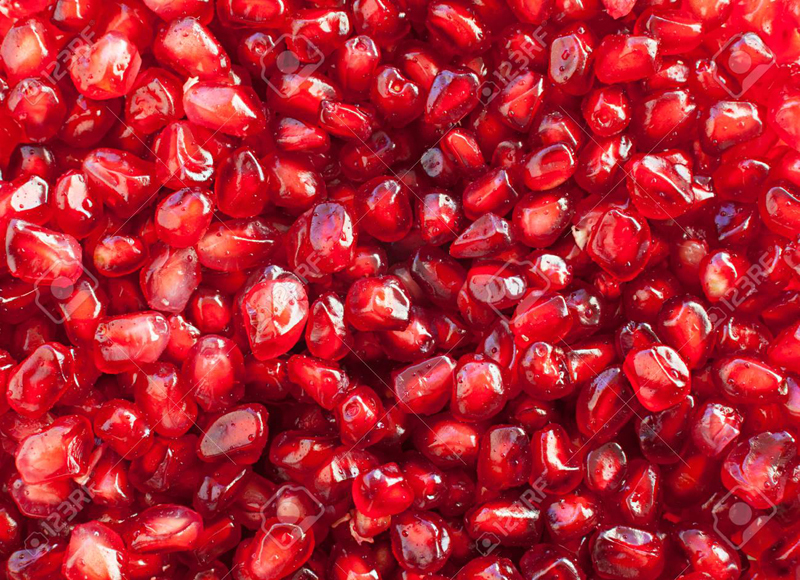 "Pomegranate seeds contain compounds that fight damage from free radicals and increase your body's ability to preserve collagen," DeFazio says. If you're a fan of this briny fruit (yes, fruit), there's no reason you shouldn't eat it all the time. 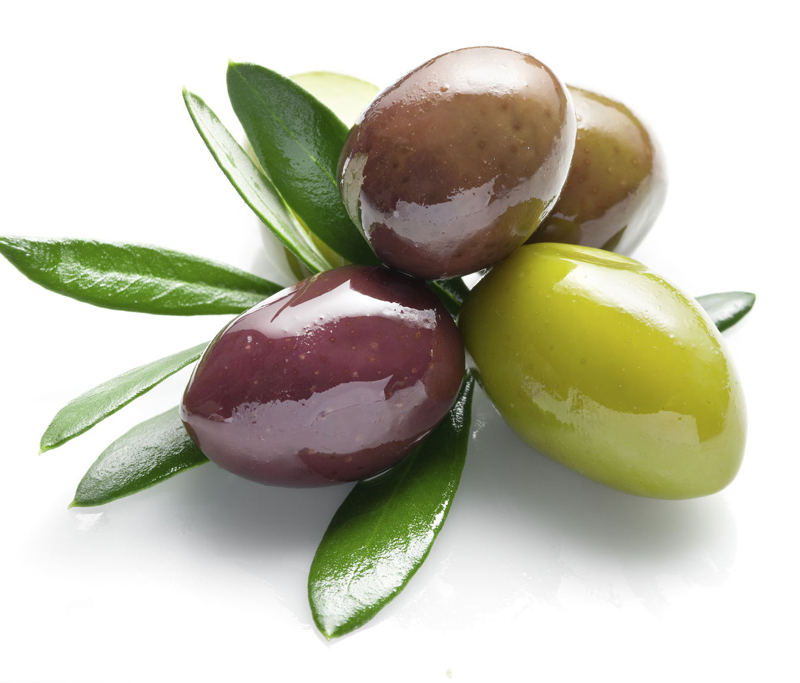 "Olives are an incredible source of polyphenols and other phytonutrients that help protect your DNA and keep you looking and feeling younger," Moalem says. Just be sure to skip the canned kind, as the pitting process actually strips the olive of vital nutrients that you're after. 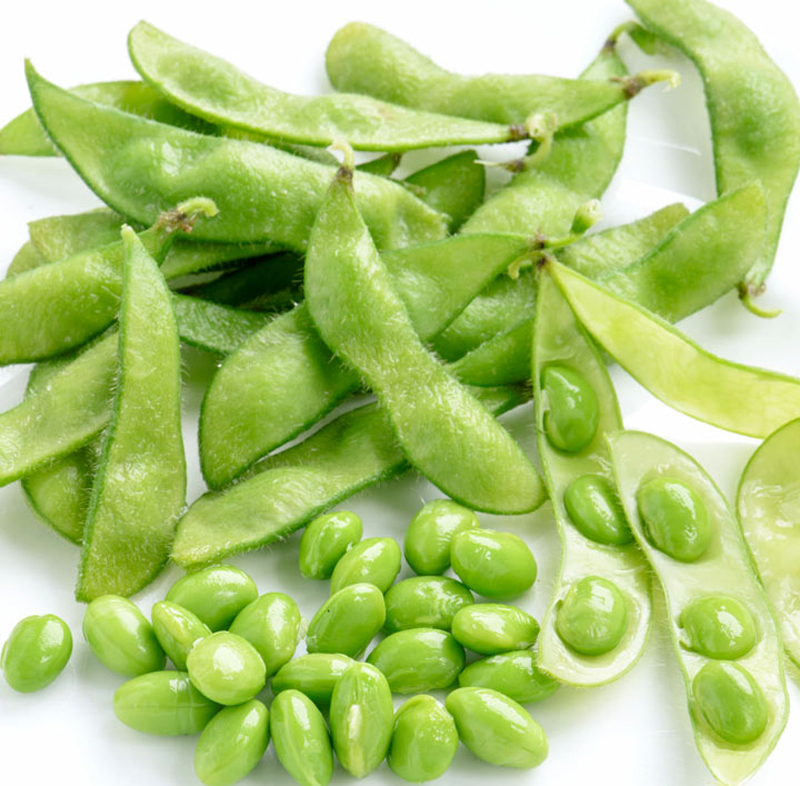 "Soy foods [like edamame] are excellent for healthy bones and your cardiovascular system," Hever says. 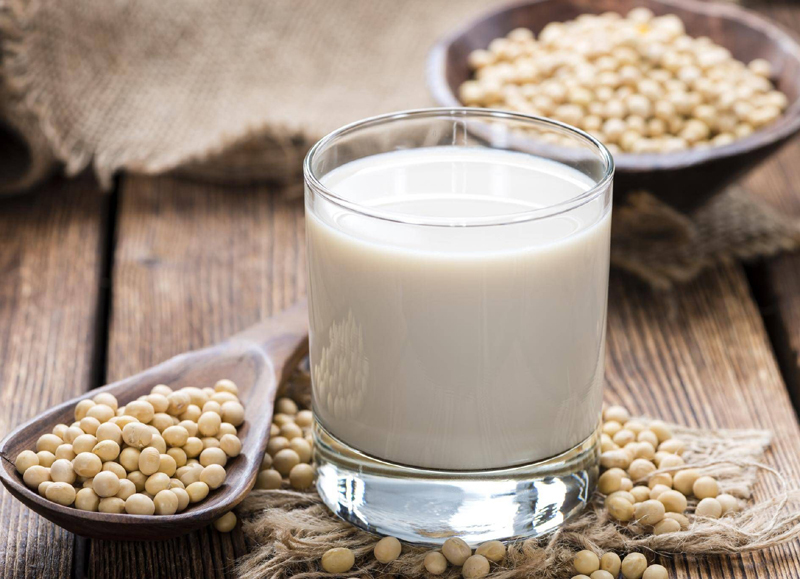 "As women hit menopause and estrogen levels taper down, soy provides phytoestrogens, compounds [found in food that mimic estrogen], which have been shown to reduce bone loss and risk for heart disease." 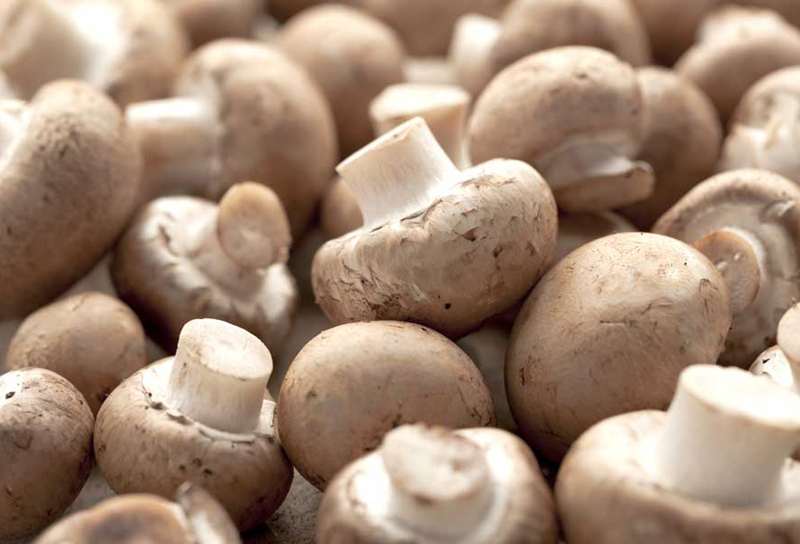 "Mushrooms are one of the few foods that naturally contain vitamin D, a [nutrient that] most people don't have enough of," Lakatos and Lakatos Shames say. "Without [it], you can't properly absorb calcium, which will lead to osteoporosis, broken bones, and a hunched spine — and nothing ages you more than that." If you're tired of boring ole' white potatoes, grab the orange kind instead. Because they're full of vitamin A (that's what gives 'em the orange hue), they help fight off fine lines and wrinkles by revitalizing damaged collagen. Keep things simple by baking it in the oven, then topping with veggies or chili. Carrots have some pretty important traits. 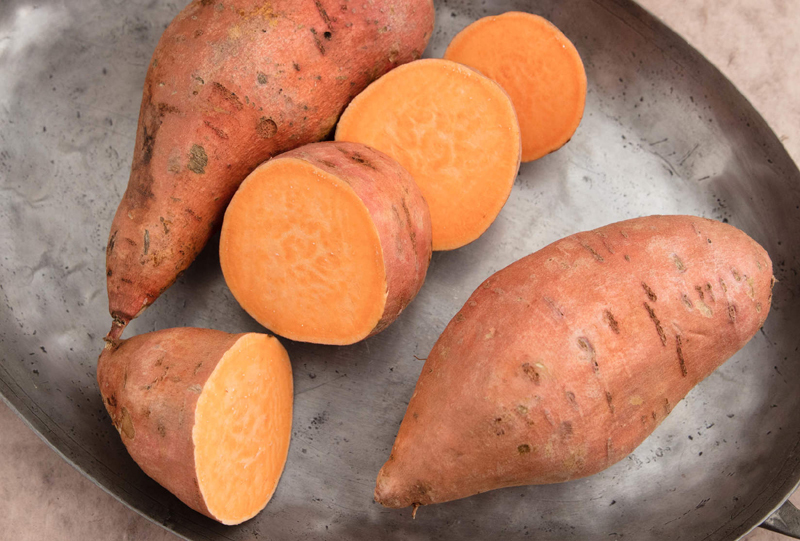 "They're rich in vitamin A, which helps to restore and regenerate damaged collagen, an essential for the elasticity and regeneration of skin cells," Hayim says. 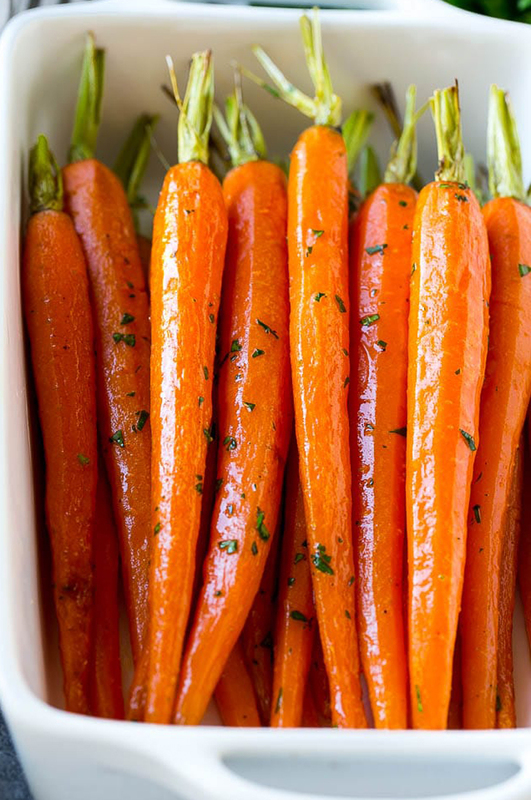 Research also shows that carrots have impressive cancer-fighting properties, so make like Bugs Bunny and grab 'em for a healthy snack. 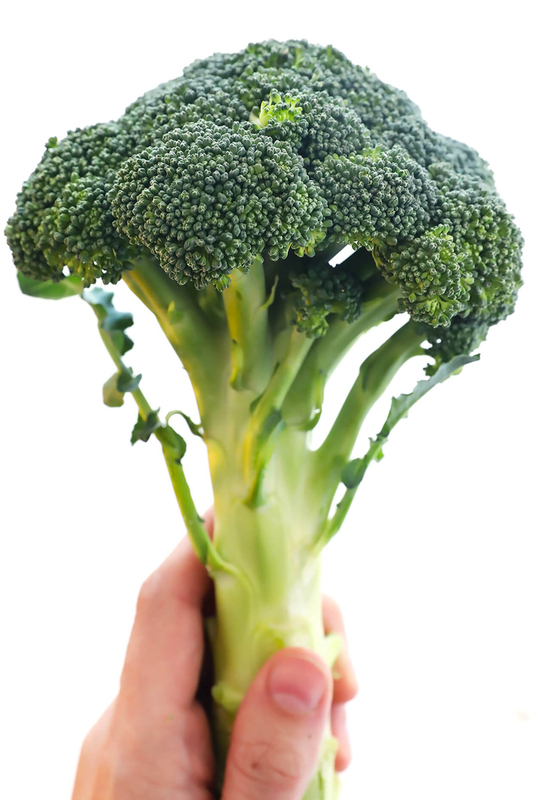 You may not have liked broccoli as a kid, but there’s a good reason to eat it as an adult: A 2016 study found that it contains the plant pigment lutein, which is linked to “crystalized intelligence” — the ability to use the skills and knowledge you have now well into your elderly years. Talk about anti-aging for your brain. 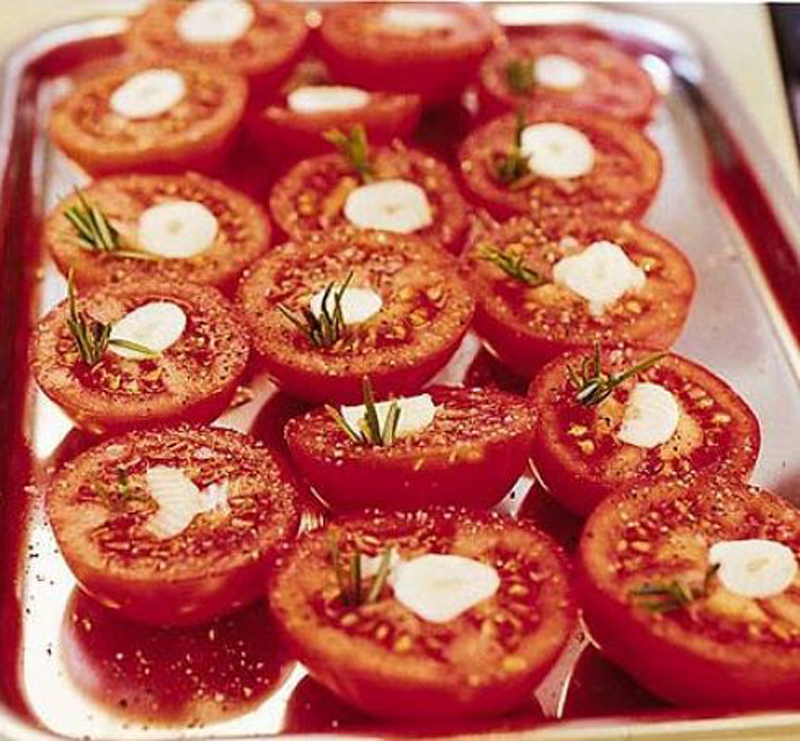 "Cooked tomatoes are loaded with lycopene, an antioxidant that protects the skin from damage," Hayim says. "While raw tomatoes still provide the body with lycopene, the cooking process [makes it] easier to absorb." Soup, anyone? "These superfoods are loaded with plant-based essential amino acids to meet all of your protein requirements," Hever says. 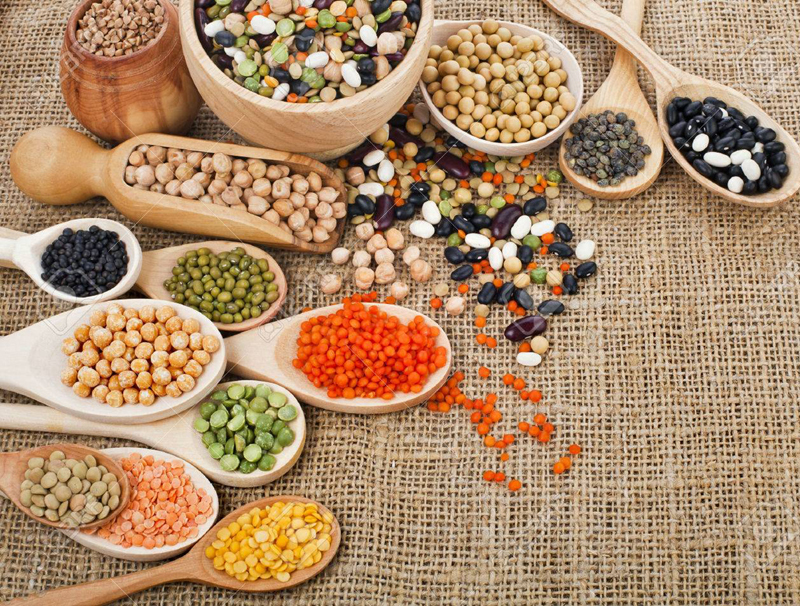 "As women age, protein needs increase slightly, and beans and lentils are superior sources because they're also loaded with disease-fighting fiber and phytochemicals." 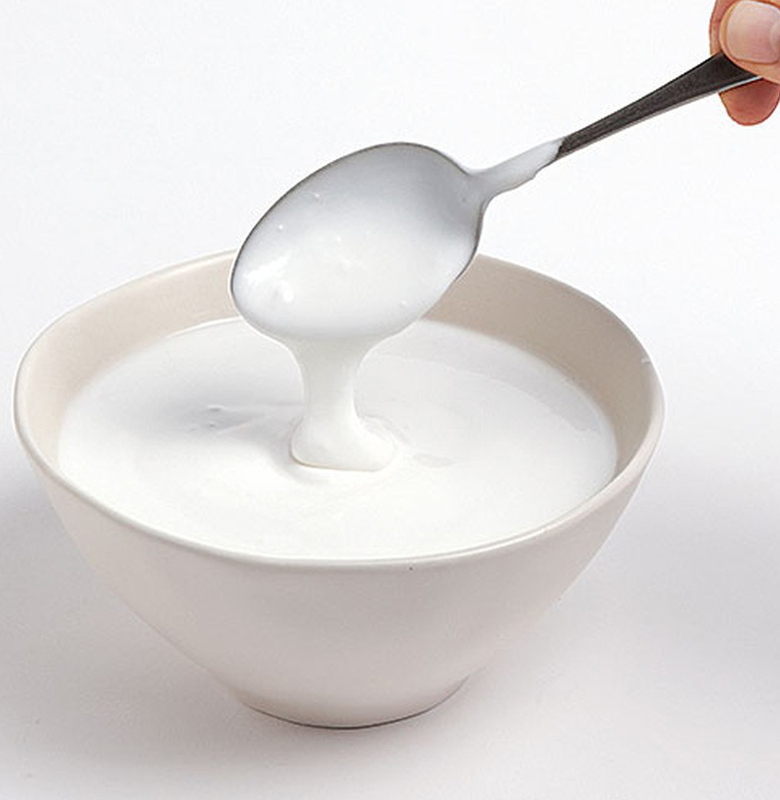 "Yogurt is great for keeping your cells young," Lakatos and Lakatos Shames say. But to really the most bang for your buck, make sure you get a good night's sleep. "Skin cells turn over rapidly, and by [allotting yourself a healthy night's] sleep, you give them time to replenish and rebuild." 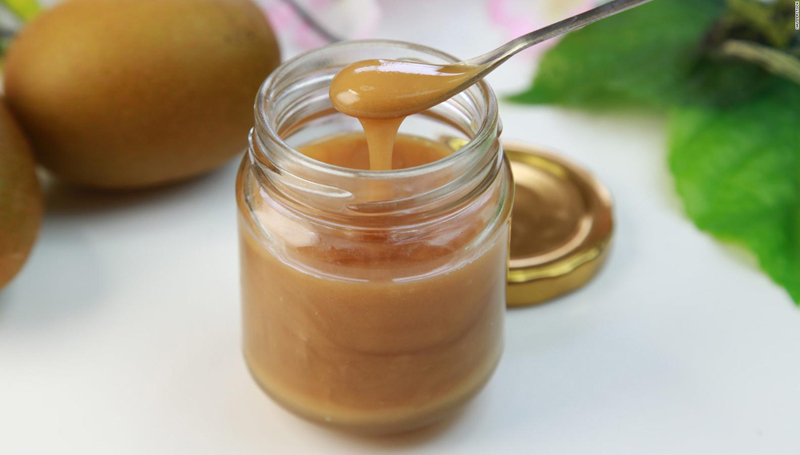 Opt for unsweetened versions and add fresh fruits and a touch of honey to temper tartness. Hearty and soothing, oatmeal is delicious without being too rich. 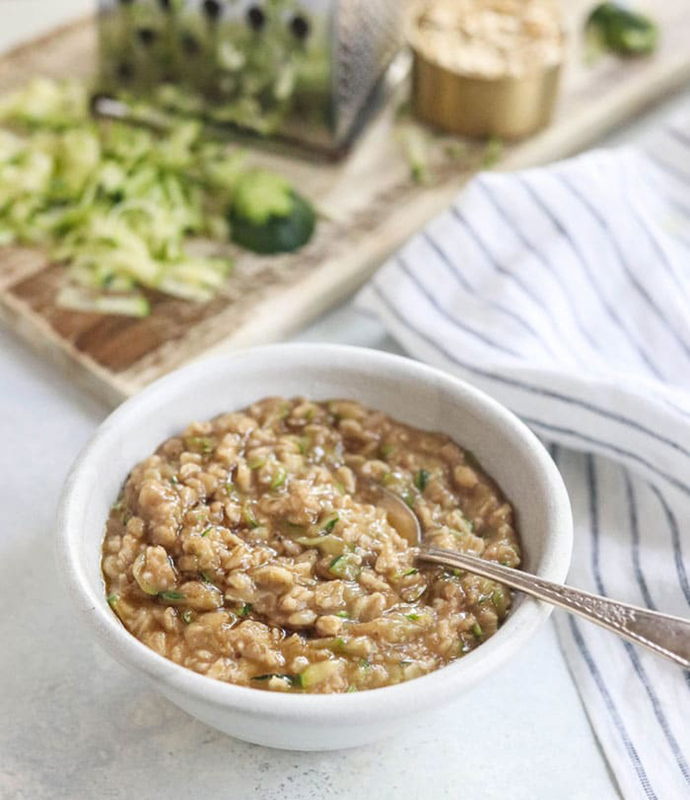 "[It's also] a comfort food that's rich in carbohydrates that boost your body's feel-good hormone serotonin," Lakatos and Lakatos Shames say. "There's no better way to look and feel young than to feel happy." This is one potent spice that should be stocked your pantry. 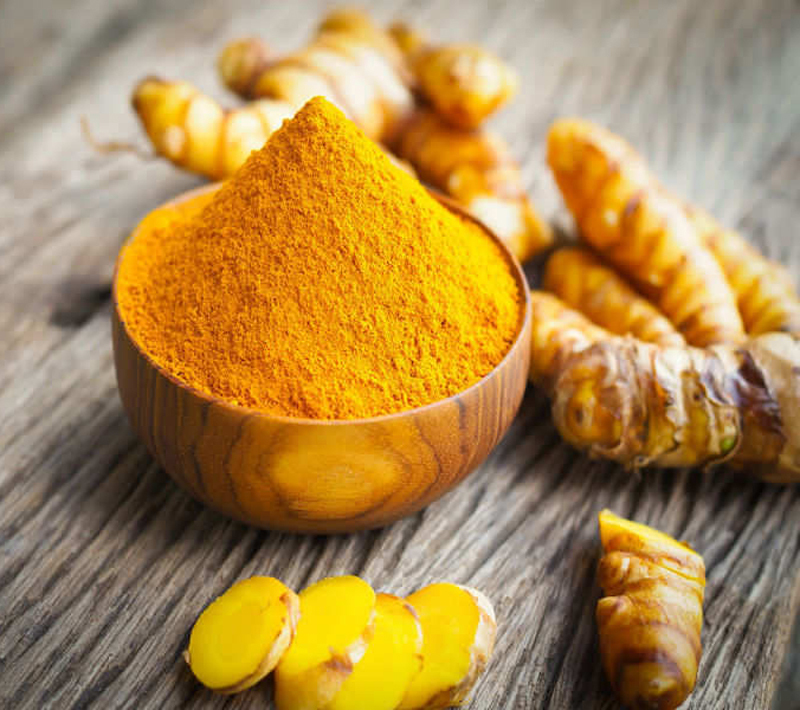 "Turmeric helps fight cell damage, chronic disease, and aging, keeping skin and all organs vibrant and in good condition," Lakatos and Lakatos Shames say. "Its powerful pigment, curcumin, seems to help prevent telomere (the end caps of our DNA) from shortening, which is believed to be a lead cause in aging and degenerative diseases." 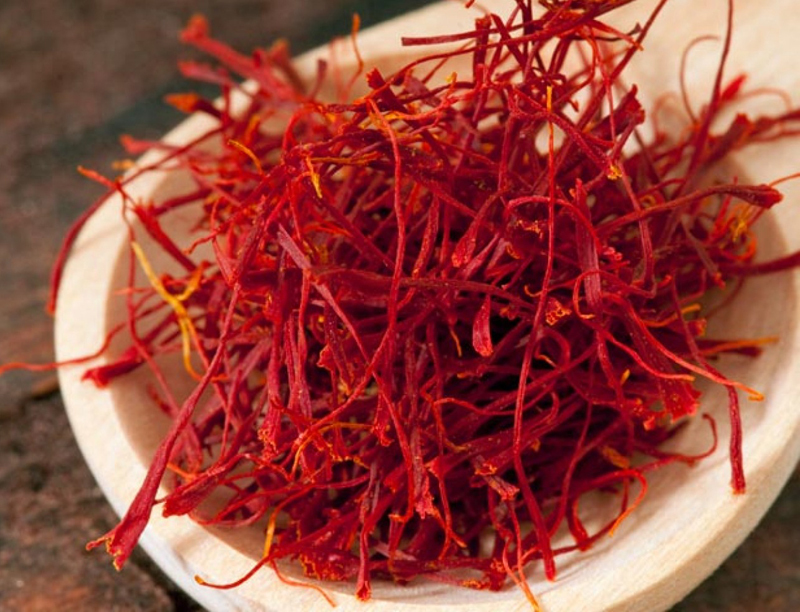 Another potent spice for your pantry, saffron is a bold flavor that delivers even stronger nutrients. "[It] contains the carotenoid phytonutrients crocin and crocetin, which have been shown to have anti-tumor and antioxidant effects, Moalem says. These compounds can also improve the symptoms associated with depression and PMS, and can even curb excessive snacking behaviors — all factors that prematurely age your DNA, she adds. "Green herbs are nutrient dense, and cilantro is particularly supportive for detoxifying your body," Kay says. 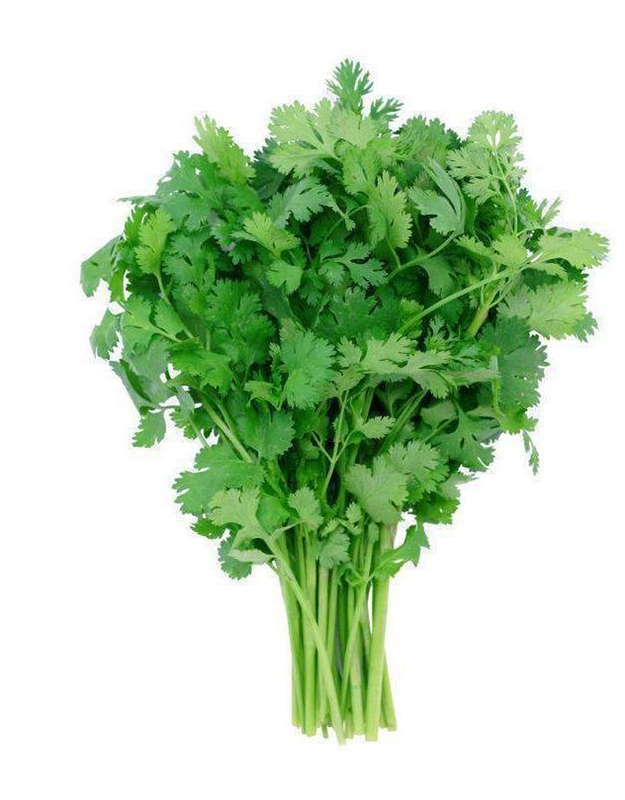 "Cilantro may also have heavy-metal chelation action, meaning it fights to remove metal accumulation from your body, like from mercury found in tuna." If the herb tastes soapy when you eat it, you're not weird: research shows that it's built into your genes. If you like using it anyway, try it in soups and salads to help boost other ingredients' flavor. 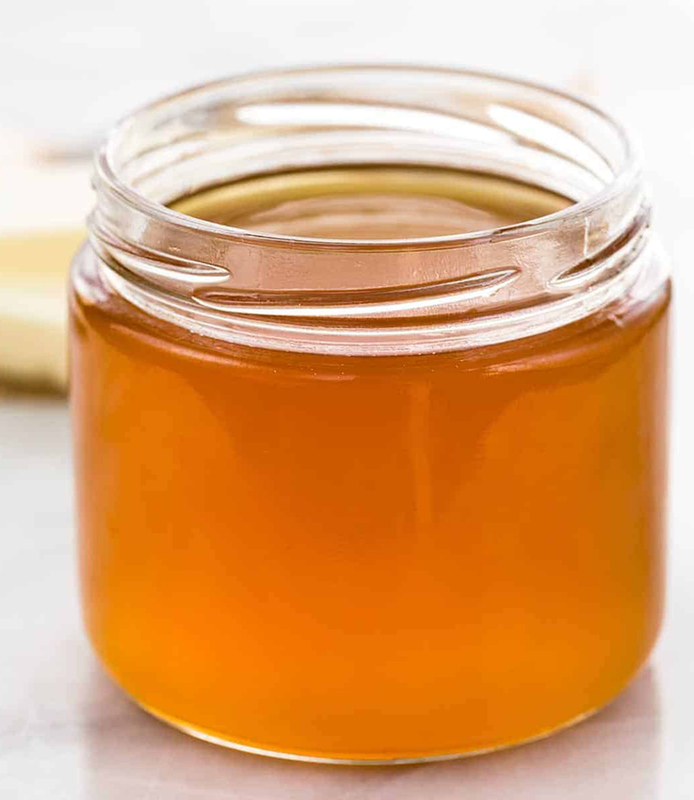 This specific type of honey has been used for years in natural medicine as a remedy for rejuvenating skin and boosting immunity, Hayim says. Why? It stimulates cytokine production, which fight off pathogens and protect us from infections. Add some to your next cup of tea and bask in the benefits. 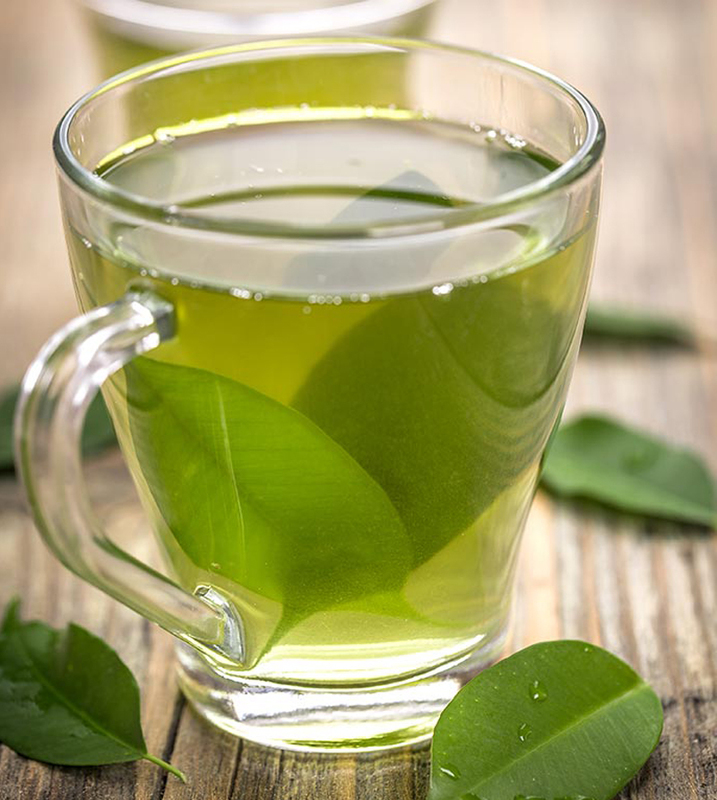 Green tea is great for keeping your body young because it helps maintain healthy cells, protects them against damage, and decreases stress. "It's [also] packed with powerful antioxidants called flavonoids that protect against disease and block DNA damage associated with toxic chemicals that cause destruction in the body, [in turn] aging it," Latakos and Latakos Shames say. 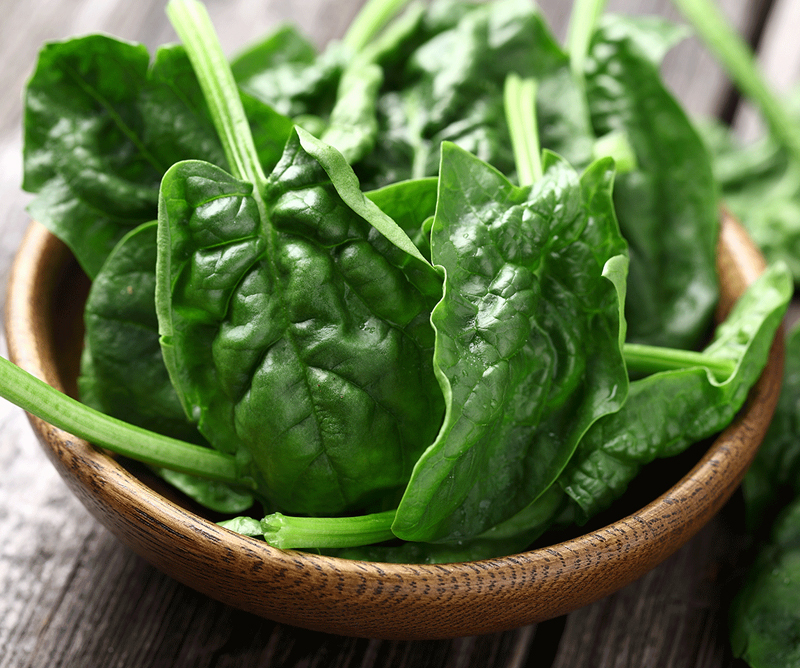 There's a reason this leafy green is a staple in salads: Not only does it taste great, but spinach also has loads of phytonutrients that help protect your skin from sun damage. It also has beta-carotene and lutein, two nutrients that research has found to improve skin elasticity. If you missed the stuff at lunch, supersize your salad and dig in at dinner. A form of clarified butter, this exotic-sounding food is actually a staple in Indian kitchens. Here's reason to add it yours: "Ghee, [made from high quality, organic butter], provides healthful fats to keep your skin soft," Kay says. "[It also] has a high smoke point, meaning it tolerates cooking without creating toxins." Look for it at your local grocery store or order it online. 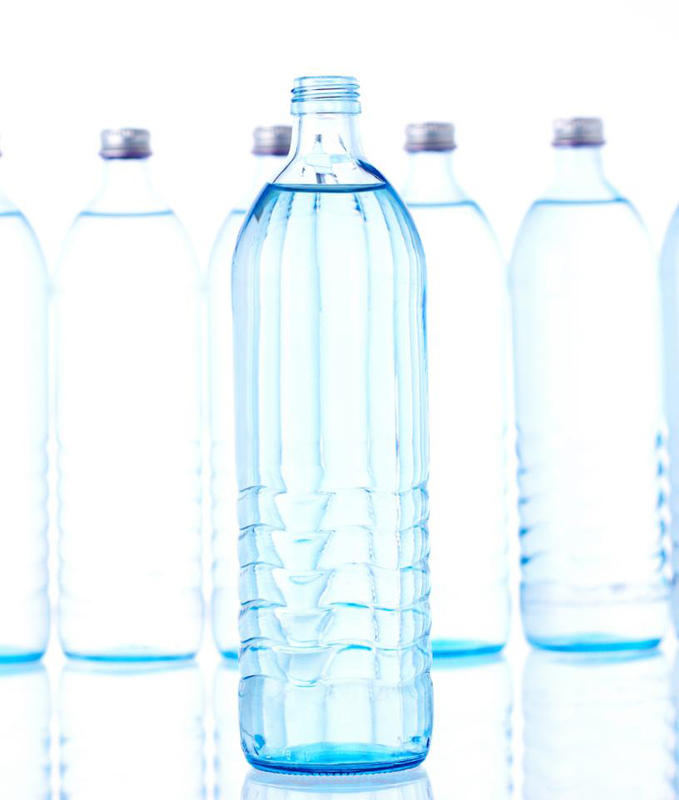 You know that hydration is critical when you want to look and feel your best, but if you're already dehydrated, fluids that have a little salt and sugar in them can actually hydrate you better than water alone, Kay says. "Try diluting fruit juice (half water, half unsweetened juice), and add a pinch of salt," she suggests. It'll give your skin cells the hydration it needs to get that glowing, dewy look. 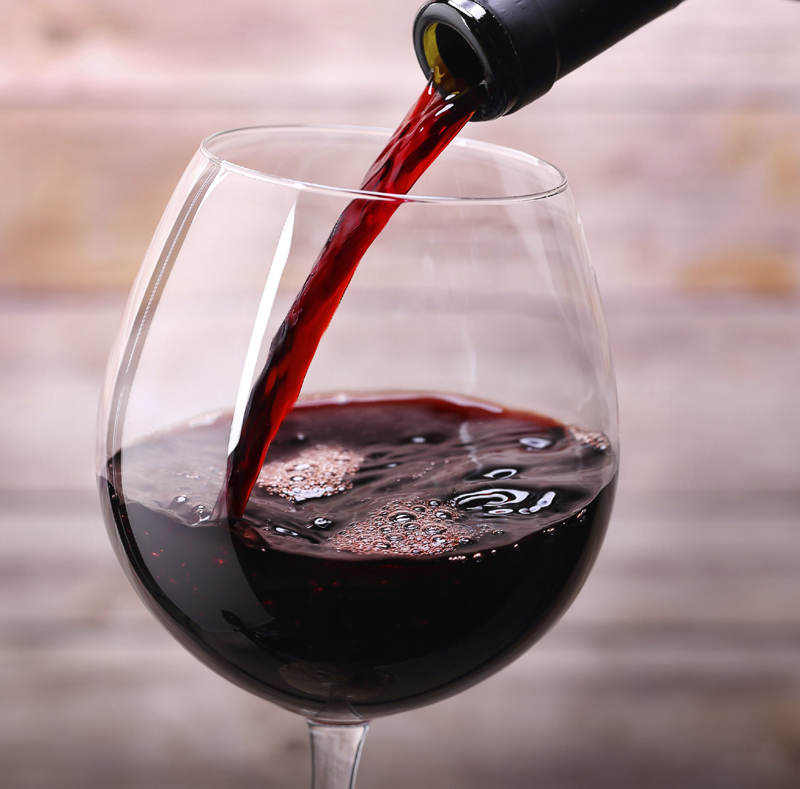 It's true: Red wine should never be left off of an anti-aging list. Researchers have known for years that it's heart-healthy, as the flavanoids it contains helps reduce LDL (bad) cholesterol and your risk of coronary heart disease. (Not to mention it simultaneously boosts your HDL, or good, cholesterol.) Having a glass also means you'll get a big dose of resveratrol, an antioxidant that scientists believe can help you maintain muscle, which is important as you age. Research has also shown resveratrol can influence the biological mechanisms behind aging, so really, it's time to start pouring. Cheers!